Ensure that all ele­ments of the built envi­ron­ment, includ­ing land use, trans­porta­tion, hous­ing, ener­gy, and infra­struc­ture, work togeth­er to pro­vide sus­tain­able, green places for liv­ing, work­ing, and recre­ation, with a high qual­i­ty of life. All devel­op­ment should com­ple­ment and main­tain the bucol­ic char­ac­ter of the community’s neigh­bor­hoods. Amend­ments to the Town’s zon­ing reg­u­la­tions should be craft­ed as to ensure that the devel­op­ment that occurs is con­sis­tent with the bucol­ic char­ac­ter of the Town’s res­i­den­tial neigh­bor­hoods and to encour­age devel­op­ment that keeps with the den­si­ty, scale, char­ac­ter and aes­thet­ic qual­i­ty of the exist­ing built envi­ron­ment in the Town’s var­i­ous zon­ing districts. Review and revise exist­ing zon­ing reg­u­la­tions or devel­op alter­na­tive zon­ing reg­u­la­tions that encour­age devel­op­ment that keeps with the scale and char­ac­ter of devel­op­ment in the Town’s var­i­ous zon­ing dis­tricts. This may include exam­i­na­tion of land use char­ac­ter­is­tics (e.g. den­si­ty, lot size, FAR, set­back reg­u­la­tions, cov­er­age cal­cu­la­tions, spe­cial use permits). Map and inven­to­ry exist­ing spe­cial use per­mits out­side of ham­let areas to under­stand their rela­tion­ship to under­ly­ing zon­ing and aid in future land use plan­ning. Map and inven­to­ry should include neigh­bor­ing com­mu­ni­ties’ zon­ing and spe­cial use permits. Review and revise exist­ing sub­di­vi­sion and con­ser­va­tion sub­di­vi­sion design reg­u­la­tions to include low-impact devel­op­ment (LID) stan­dards and smart growth prin­ci­ples. Con­sid­er new ​“smart growth sub­di­vi­sion” des­ig­na­tion for new sub­di­vi­sions incor­po­rat­ing these provisions. Iden­ti­fy exist­ing con­ser­va­tion sub­di­vi­sions, as well as gen­er­al neigh­bor­hoods and neigh­bor­hoods under plan­ning board juris­dic­tion, with­in the Town’s prop­er­ty assess­ment sys­tem and GIS data. Rede­fine and cod­i­fy Clear­ing and Grad­ing Lim­it Line (CGLL) in rela­tion to pro­tec­tion of nat­ur­al areas. The new CGLL def­i­n­i­tion should cen­ter around the cre­ation of a lim­it of dis­tur­bance dur­ing con­struc­tion activ­i­ty for the pro­tec­tion of open space areas across prop­er­ty lines and sen­si­tive envi­ron­men­tal fea­tures and conditions. To allow for high­er den­si­ty res­i­den­tial (not mixed-use) devel­op­ment in areas imme­di­ate­ly sur­round­ing the ham­lets while main­tain­ing the res­i­den­tial char­ac­ter of the neigh­bor­hoods, the Town should revise the reg­u­la­tions found in the zon­ing code regard­ing tran­si­tion areas sur­round­ing the ham­lets. Alter­na­tive zon­ing approach­es, includ­ing form-based codes, should be con­sid­ered for areas with­in the ham­lets and asso­ci­at­ed tran­si­tion areas. Reg­u­la­tions should be revised to allow for devel­op­ment, while ensur­ing it does not dis­rupt the sin­gle-fam­i­ly res­i­den­tial char­ac­ter of the adja­cent neigh­bor­hood and should include guid­ance regard­ing the appro­pri­ate scale, den­si­ty and hous­ing type. Revise the reg­u­la­tions found in the zon­ing code that refer to tran­si­tion areas between exist­ing ham­lets and sur­round­ing res­i­den­tial areas. Revised reg­u­la­tions should enable high­er den­si­ty res­i­den­tial devel­op­ment that is con­sis­tent with and does not dis­r­put the bucol­ic char­ac­ter of areas adja­cent to the ham­lets. Con­sid­er the use of form-based codes with­in tran­si­tion areas. Facil­i­tat­ing a range of hous­ing options in or in the ham­lets or sur­round­ing areas would pro­vide a diverse set of res­i­dents, from young pro­fes­sion­als and low-income fam­i­lies to work­force and senior pop­u­la­tions, with access to ameni­ties and ser­vices. The Town Code should be updat­ed to bet­ter encour­age the pro­vi­sion of mixed-use, mul­ti-fam­i­ly, con­do­mini­ums, town­hous­es, senior and work­force hous­ing, and acces­so­ry dwelling units in such areas as part of infill and mixed use devel­op­ments. Cur­rent­ly, the Town Code requires the pro­vi­sion of a cer­tain per­cent­age or num­ber of afford­able units in new mul­ti-fam­i­ly devel­op­ments in all mul­ti-fam­i­ly res­i­den­tial zon­ing dis­tricts. Deter­mine whether exist­ing per­cent­ages should be increased and/​or expand­ed to apply to mixed-use development. Strength­en zon­ing code to encour­age the pro­vi­sion of mixed-use, mul­ti-fam­i­ly, con­do­mini­ums, town­hous­es, apart­ments, senior and work­force hous­ing, and acces­so­ry dwelling units in or in prox­im­i­ty to the ham­lets and their ameni­ties, includ­ing retail, health care, and trans­porta­tion. Con­sid­er revis­ing min­i­mum lot size, park­ing reg­u­la­tions, set­backs, incen­tives and oth­er reg­u­la­tions to allow for a range of hous­ing types. Mixed-use devel­op­ment should take pri­or­i­ty over oth­er res­i­den­tial devel­op­ment in the hamlets. To encour­age the devel­op­ment of alter­na­tive hous­ing options avail­able to house­holds with a range of income lev­els, hous­ing leg­is­la­tion (i.e. zon­ing) and devel­op­ment incen­tives with­in the Town Code should be stud­ied. Cur­rent­ly, the Town Code requires a cer­tain per­cent­age or num­ber of lots be cre­at­ed for the pro­vi­sion of an afford­able hous­ing unit in new sub­di­vi­sions. The Town should deter­mine whether exist­ing per­cent­ages should be increased to bet­ter encour­age price point and hous­ing type vari­a­tion in all zon­ing dis­tricts. So as to main­tain New Castle’s bucol­ic, sin­gle-fam­i­ly res­i­den­tial char­ac­ter, all new hous­ing units should be con­sis­tent with the char­ac­ter, aes­thet­ic and scale of the neigh­bor­hood with­in which they will be locat­ed. Alter­na­tive hous­ing con­sist­ing of small­er sin­gle-fam­i­ly homes (e.g. ​“gate” hous­es), two-fam­i­ly homes and acces­so­ry apart­ments locat­ed in sin­gle-fam­i­ly res­i­dence build­ings should be devel­oped using cre­ative design tech­niques to appro­pri­ate­ly fit seam­less­ly among exist­ing res­i­dences in the Town’s low-den­si­ty neigh­bor­hoods. Large-scale res­i­den­tial devel­op­ment of any kind in more remote, unde­vel­oped areas of the town faces a myr­i­ad of chal­lenges, includ­ing but not lim­it­ed to the fol­low­ing: (i) sig­nif­i­cant envi­ron­men­tal con­straints (such as sen­si­tive wet­lands and wet­land buffers, steep slopes, pub­lic drink­ing water water­sheds and aquifers); (ii) the lack of exist­ing infra­struc­ture (such as pub­lic water and sew­er util­i­ties, sub­stan­dard roads in terms of sur­face, width, drainage and sight lines); (iii) lit­tle or no access to pub­lic trans­porta­tion; and (iv) lim­it­ed fire pro­tec­tion when pub­lic water is unavail­able. Alter­na­tive hous­ing should be devel­oped as part of infill and mixed-use devel­op­ments in the Town’s ham­lets and sur­round­ing areas. This goal can also be accom­plished through the reuse and repur­pos­ing of under­uti­lized prop­er­ties. The Town should coor­di­nate with finan­cial insti­tu­tions or non-prof­it orga­ni­za­tions to iden­ti­fy prop­er­ties that may be rede­vel­oped or reused as alter­na­tive hous­ing avail­able to a range of income levels. Review exist­ing hous­ing leg­is­la­tion and devel­op­ment incen­tives and revise to address cur­rent hous­ing needs (see hous­ing needs dis­cus­sion in Liv­able Built Envi­ron­ment chap­ter). Con­sid­er­a­tion should be giv­en to hous­ing type, income, struc­tur­al acces­si­bil­i­ty fea­tures, con­nec­tions to the ham­lets, and use of alter­na­tive transportation. Con­sid­er an increase of the required per­cent­age or num­ber of lots for afford­able hous­ing units in new subdivisions. Coor­di­nate with finan­cial insti­tu­tions or non-prof­it orga­ni­za­tions to iden­ti­fy exist­ing mar­ket rate hous­ing that can be used to meet mul­ti­fam­i­ly and afford­able hous­ing needs. Based on hous­ing trends and eco­nom­ic con­di­tions, it should be required that a cer­tain per­cent­age of units in all new mul­ti-fam­i­ly hous­ing devel­op­ments and mixed-use build­ings are afford­able, and that these units are inter­spersed through­out those of high­er val­ue. The zon­ing code should be revised to ensure that afford­able hous­ing units are inter­spersed among those that are mar­ket rate, as opposed to clus­tered togeth­er or phys­i­cal­ly sep­a­rate from oth­er hous­ing units. Revise zon­ing code to ensure that afford­able hous­ing units are inter­spersed among those that are mar­ket rate, as opposed to clus­tered togeth­er or phys­i­cal­ly sep­a­rate from oth­er hous­ing units, in all zon­ing dis­tricts which accom­mo­date res­i­den­tial development. The preser­va­tion of his­toric resources is inte­gral not only to pre­serve but cel­e­brate what gives the Town its iden­ti­ty, cre­at­ing a stronger sense of place and com­mu­ni­ty among res­i­dents. The Land­marks Advi­so­ry Com­mit­tee (LAC), led by the Town His­to­ri­an, main­tains a list of land­marked prop­er­ties in the Town and endeav­ors to add his­toric prop­er­ties to the list in order to main­tain the Town’s unique, his­toric land­scape. Approx­i­mate­ly two build­ings are added to the list of land­marked prop­er­ties in New Cas­tle each year. There are many his­tor­i­cal assets that have not yet been con­sid­ered, cat­a­loged or marked as such, includ­ing trees, parks, busi­ness­es and streets. Addi­tion­al­ly, many build­ings in New Cas­tle could be con­sid­ered his­toric for rea­sons oth­er than age or pre­vi­ous occu­pants; design and archi­tec­ture could also play a role in cat­e­go­riz­ing cer­tain struc­tures as his­toric. The Town should part­ner with the His­tor­i­cal Soci­ety, when appro­pri­ate, to pro­vide resources, such as man­pow­er or pro­gram sup­port, to stim­u­late research activ­i­ty and aware­ness regard­ing the Town’s his­toric resources. Ensure the Town Clerk receives an updat­ed list of his­tor­i­cal landmarks/​buildings every six months from the New Cas­tle His­tor­i­cal Society. Explore the pos­si­bil­i­ty of estab­lish­ing an ongo­ing intern­ship pro­gram, or sim­i­lar pro­grams, with the His­tor­i­cal Soci­ety to stim­u­late research activ­i­ty to aid in the cat­a­loging of his­tor­i­cal assets that have not yet been con­sid­ered such as trees, parks, busi­ness­es and streets. Coor­di­nate with the His­tor­i­cal Soci­ety to devel­op a ​“Wel­come Pack­age” with his­tor­i­cal infor­ma­tion to be giv­en to new res­i­dents along with their tax infor­ma­tion etc. upon their move to New Castle. To enhance access and mobil­i­ty of all those who live, work and play in the Town, the Town should coor­di­nate with Westch­ester Coun­ty to pro­vide more fre­quent bus ser­vice, more cross-town ser­vice and stream­lined ser­vice to the ham­lets. An out­reach pro­gram and incen­tives to pro­mote alter­na­tive trans­porta­tion should be devel­oped. The Town should coor­di­nate with the school dis­tricts to exam­ine school bus rid­er­ship trends and, if nec­es­sary, encour­age rid­er­ship through out­reach cam­paigns. The Town should also coor­di­nate with the Chap­paqua Bus Com­pa­ny to explore oppor­tu­ni­ties to use their ser­vices to ful­fill com­mu­ni­ty trans­porta­tion needs, such as pub­lic trans­porta­tion between the hamlets. Coor­di­nate with Westch­ester Coun­ty Depart­ment of Trans­porta­tion (i.e. Bee Line) to pro­vide more fre­quent and reli­able bus ser­vice as well as more cross-town service. Cre­ate out­reach pro­gram to pro­mote alter­na­tive transportation. Coor­di­nate with school dis­tricts to exam­ine school bus rid­er­ship trends. If nec­es­sary, encour­age rid­er­ship through out­reach cam­paigns and pur­sue oth­er mea­sures to max­i­mize bus use. Access and mobil­i­ty must be enhanced for all pop­u­la­tions, espe­cial­ly those who do not or can­not rely on pri­vate­ly-owned auto­mo­biles to get around. The Town should deter­mine whether or not there are pop­u­la­tions that have spe­cial needs or are under­served when it comes to exist­ing pub­lic trans­porta­tion ser­vices and, if nec­es­sary, iden­ti­fy areas for enhance­ment of pub­lic trans­porta­tion for those pop­u­la­tions. The Town should also remain attuned to the trans­porta­tion needs of seniors and engage with mer­chants to make mass tran­sit eas­i­er for their employ­ees to use and access. Iden­ti­fy areas for enhance­ment of pub­lic trans­porta­tion for pop­u­la­tions in need. Pro­vide sup­port to Recre­ation and Parks in pro­vi­sion of pub­lic trans­porta­tion for seniors when necessary. Engage with mer­chants on mak­ing mass tran­sit eas­i­er for their employ­ees to use and access. Traf­fic, espe­cial­ly in the Chap­paqua ham­let dur­ing rush hour peri­ods and on the week­ends, is a major source of res­i­dent frus­tra­tion. The Town should explore the use of alter­na­tive traf­fic cir­cu­la­tion pat­terns in and around the Chap­paqua Train Sta­tion dur­ing peak trav­el times and in the ham­let dur­ing the week­ends. To alle­vi­ate traf­fic out­side of the ham­lets, inter­sec­tions prone to con­ges­tion and con­flict should be iden­ti­fied, and traf­fic flow improve­ment solu­tions should be developed. Explore use of alter­na­tive traf­fic cir­cu­la­tion pat­terns in and around the Chap­paqua Train Sta­tion dur­ing morn­ing and after­noon rush hour. Streets that pro­vide safe access to all users, pedes­tri­ans, cyclists and motor vehi­cles alike, are called Com­plete Streets. The Town should look to pro­vide Com­plete Streets pro­vi­sions on its road­ways, where appro­pri­ate. Pri­or­i­ty should be giv­en to roads that con­nect neigh­bor­hoods to the ham­lets, schools and oth­er loca­tions of pub­lic gath­er­ing. A Com­plete Streets pol­i­cy doc­u­ment that is spe­cif­ic to the Town should be gen­er­at­ed so that the Com­plete Street pro­vi­sions made on the Town’s road­ways are appro­pri­ate for the Town’s road­ways and improve safe­ty. A Side­walk Plan for the ham­let areas and out­ly­ing neigh­bor­hoods as well as neigh­bor­hoods near the schools and oth­er pub­lic gath­er­ing spaces should be devel­oped. The Town should also exam­ine the fea­si­bil­i­ty of side­walks with­in and between neigh­bor­hoods that do not bor­der the ham­let areas, and on all major routes includ­ing Route 117, 100, 120, 133 and 128. Coor­di­na­tion with Coun­ty and State per­mit­ting enti­ties should be undertaken. Gen­er­ate Com­plete Streets pol­i­cy doc­u­ment spe­cif­ic to the Town. Include Com­plete Street tech­niques and best prac­tices where rea­son­able when con­struct­ing, main­tain­ing or upgrad­ing street infrastructure. Exam­ine the fea­si­bil­i­ty of side­walks on all major routes includ­ing Rt. 117, 100, 120, 133, 128. Improv­ing cir­cu­la­tion and con­nec­tiv­i­ty with­in and between ham­lets will mean ensur­ing that res­i­dents and vis­i­tors of the Town can make their way around and find oppor­tu­ni­ties to park. The Town should review and update park­ing stan­dards to deter­mine appro­pri­ate ratios of park­ing demand to devel­op­ment. The vis­i­bil­i­ty of pub­lic park­ing oppor­tu­ni­ties in the ham­lets should be improved through direc­tion­al sig­nage and imple­men­ta­tion of a wayfind­ing pro­gram to enhance con­nec­tions between the ham­lets and oth­er des­ti­na­tions of local and region­al impor­tance. A shared park­ing fore­cast should also be devel­oped to assess the fea­si­bil­i­ty of a shared park­ing initiative. Exam­ine oppor­tu­ni­ties to enhance bike, pedes­tri­an and alter­na­tive trans­port between Chap­paqua, Mill­wood and Chap­paqua Crossing. Review and update park­ing stan­dards to reflect desired land use (includ­ing avail­abil­i­ty of pub­lic park­ing in ham­let areas, min­i­mum park­ing stan­dards, etc.). Under­take a park­ing fea­si­bil­i­ty study to ana­lyze the oppor­tu­ni­ties and needs for park­ing in Chap­paqua includ­ing a future needs fore­cast and shared parking. Enhance vis­i­bil­i­ty of pub­lic park­ing oppor­tu­ni­ties in the ham­lets through direc­tion­al signage. Devel­op a wayfind­ing pro­gram (e.g. con­sis­tent sig­nage) to improve con­nec­tions between the Chap­paqua Train Sta­tion, ham­lets, and oth­er des­ti­na­tions of local and region­al importance. To improve the acces­si­bil­i­ty of the train ser­vice, traf­fic cir­cu­la­tion issues at the Chap­paqua Train Sta­tion should be addressed. Addi­tion­al­ly and con­sis­tent with traf­fic cir­cu­la­tion improve­ments, the Town should explore oppor­tu­ni­ties for pub­lic-pri­vate part­ner­ships in con­struct­ing a park­ing struc­ture to serve the train sta­tion and the Chap­paqua hamlet. Address traf­fic cir­cu­la­tion issues at the Chap­paqua Train Sta­tion pick-up/­drop-off areas. Explore oppor­tu­ni­ties for pub­lic-pri­vate part­ner­ship to con­struct park­ing struc­ture near train station. Infra­struc­ture ser­vices include roads; stormwa­ter, sew­er, and drink­ing water sys­tems; clean ener­gy sys­tems such as LED light­ing, micro­grids and/​or com­bined heat and pow­er (CHP) instal­la­tions; and potable water and fire sup­pres­sion tech­nolo­gies, among oth­ers. The Town should devel­op an Infra­struc­ture Inven­to­ry, Repair and Replace­ment Plan that includes the his­to­ry of infra­struc­ture dis­trict cre­ation (if applic­a­ble), quan­ti­fies exist­ing infra­struc­ture capac­i­ty and iden­ti­fies need­ed improve­ments regard­ing expan­sion of ser­vice for health and safe­ty (includ­ing fire sup­pres­sion) and in rela­tion to haz­ard mit­i­ga­tion mea­sures as dis­cussed in the Town’s Haz­ard Mit­i­ga­tion Plan. Pro­posed devel­op­ment projects should be coor­di­nat­ed with the Town’s infra­struc­ture needs, includ­ing the con­tin­ued exam­i­na­tion of the fea­si­bil­i­ty of extend­ing sew­er ser­vice to the Mill­wood ham­let and areas where sep­tic sys­tems are fail­ing. The expan­sion of waste­water sys­tems and oth­er asso­ci­at­ed infra­struc­ture should not take place sole­ly to allow for addi­tion­al high­er den­si­ty devel­op­ment, to the detri­ment of the envi­ron­ment, or with­out some addi­tion­al ben­e­fit that meets oth­er goals of this Plan. For exam­ple, the expan­sion of infra­struc­ture sys­tems should enhance the use of clean/​green tech­nol­o­gy, expand oppor­tu­ni­ties for alter­na­tive and/​or afford­able hous­ing, and/​or aid in build­ing alter­na­tive trans­porta­tion linkages. Devel­op Infra­struc­ture Inven­to­ry, Repair and Replace­ment Plan that can be accessed by all Town depart­ments. This Plan should include the his­to­ry of infra­struc­ture dis­trict cre­ation (where applic­a­ble), quan­ti­fy exist­ing infra­struc­ture capac­i­ty and iden­ti­fy need­ed improve­ments includ­ing haz­ard mit­i­ga­tion mea­sures as dis­cussed in the Town’s Haz­ard Mit­i­ga­tion Plan. Review and update Cap­i­tal Improve­ment Plan to pri­or­i­tize, bud­get, and facil­i­tate infra­struc­ture repair, replace­ment and expan­sion where appropriate. Cre­ate a work­group con­sist­ing of rel­e­vant Depart­ment Heads and Town staff to facil­i­tate enhanced inter-depart­men­tal com­mu­ni­ca­tions and coor­di­na­tion on planned and pro­posed cap­i­tal improve­ment and/​or infra­struc­ture repair and expan­sion projects, as well as large pri­vate devel­op­ments that could impact pub­lic infrastructure. Require appli­cants to loop water sys­tems and oth­er rel­e­vant infra­struc­ture as part of site plan and sub­di­vi­sion design. Explore the cre­ation of a pro­gram to inspect sew­er lat­er­als from pri­vate struc­tures that are cur­rent­ly con­nect­ed to the Westch­ester Coun­ty sew­er sys­tem. Such a pro­gram should include lead detec­tion and ille­gal connections. This goal is estab­lished in order to lim­it devel­op­ment in more bucol­ic parts of Town to pre­serve their char­ac­ter and avoid dis­tur­bances to biotic/​nat­u­ral­ly exist­ing cor­ri­dors. Infill devel­op­ment should be pro­mot­ed in areas with sup­port­ive infra­struc­ture and should be planned for spar­ing­ly in areas that lack the nec­es­sary infra­struc­ture. Exist­ing infra­struc­ture map­ping should be enhanced to aid in these efforts. Ensure that the con­tri­bu­tions of nat­ur­al resources to human well-being are explic­it­ly rec­og­nized and val­ued and that main­tain­ing their health is a pri­ma­ry objective. Review and strength­en exist­ing Envi­ron­men­tal Pro­tec­tion Over­lay and envi­ron­men­tal review process to ensure ade­quate pro­tec­tion of wet­lands, wildlife, wildlife and open space cor­ri­dors, steep slopes, water­sheds, rivers and streams, lakes and ponds, trees and forests, flood plains, aquifers, potable aquifers, spe­cial rock out­crops, and ridgelines. Explore the fea­si­bil­i­ty of amend­ing the exist­ing wet­land mit­i­ga­tion statu­to­ry require­ment to allow for off-site mit­i­ga­tion with­in the same drainage basin. Revis­it tree replace­ment statu­to­ry require­ments to allow plant­i­ng of shrub­bery in addi­tion to trees to enhance qual­i­ty of mit­i­ga­tion plant­i­ngs and nat­ur­al habi­tat. Con­sid­er­a­tion should be giv­en to the def­i­n­i­tion of shrub­bery, cri­te­ria to equate the val­ue brought by shrub­bery ver­sus trees, etc. Review tree removal reg­u­la­tions to ensure stat­u­a­to­ry require­ments are suf­fi­cient in pro­tect­ing eco­log­i­cal­ly and his­tor­i­cal­ly sig­nif­i­cant trees. Cre­ate pub­lic edu­ca­tion mate­ri­als regard­ing tree removal reg­u­la­tions (i.e. eco­log­i­cal impact, cri­te­ria for removal, per­mit­ting process, mit­i­ga­tion requirements). Cre­ate edu­ca­tion mate­ri­als for land­scape con­trac­tors regard­ing prop­er man­age­ment and main­te­nance of ripar­i­an areas. The Town should devel­op a Nat­ur­al Resources Index (NRI) that inven­to­ries and maps dif­fer­ent flo­ra and fau­na, as well as their respec­tive habi­tats. This infor­ma­tion should be used in a Town-wide Bio­di­ver­si­ty Man­age­ment Plan, which should out­line a more sys­tem­at­ic approach to sup­port and pro­tect bio­di­ver­si­ty. If appro­pri­ate, code mod­i­fi­ca­tions should be made to help man­age and pro­tect these species and habi­tats. A Town-wide NRI and Bio­di­ver­si­ty Plan can be devel­oped in part­ner­ship with neigh­bor­ing munic­i­pal­i­ties, the NYS­DEC, and oth­er local envi­ron­men­tal orga­ni­za­tions, and as a result, can help strength­en inter-munic­i­pal bio­di­ver­si­ty pro­tec­tion efforts. Pre­pare a com­pre­hen­sive Town-wide Bio­di­ver­si­ty Man­age­ment Plan that includes a Nat­ur­al Resources Index (NRI), sup­ports region­al sus­tain­abil­i­ty and is coor­di­nat­ed with the Town’s Open Space Man­age­ment Plan. Work with the DEC and the Town’s envi­ron­men­tal boards or oth­er vol­un­teers to iden­ti­fy and map dif­fer­ent habi­tat areas and species to be includ­ed in the NRI. The NRI should include an updat­ed list of endangered/​threatened species as well as detail why these species are crit­i­cal to the bio­di­ver­si­ty of the area. Cre­ate pro­tec­tion areas, cor­ri­dors and reg­u­la­tions that pro­tect habi­tat areas. Coor­di­nate with the review and revi­sion of the Open Space Man­age­ment Plan. Inva­sive plants and ani­mals are incred­i­bly dis­rup­tive to native species habi­tats and ecosys­tems, great­ly con­tribute to a loss of bio­di­ver­si­ty, and can often be a nui­sance to human pop­u­la­tions. The Town should iden­ti­fy inva­sive plants and ani­mals, as well as their impact on local habi­tats, and devel­op a plan to reduce those impacts. Res­i­dents should be pro­vid­ed with edu­ca­tion­al mate­ri­als that address the con­trol of vines and inva­sive plants and the Town should con­tin­ue to dis­sem­i­nate infor­ma­tion found in the Town’s Coy­ote Response Plan to help res­i­dents under­stand coy­ote behav­ior and enhance aware­ness of safe­ty techniques. Iden­ti­fy inva­sive species (plants and ani­mals) and their impacts on local habitats. Devel­op an (inva­sive species) action plan to reduce iden­ti­fied impacts. Con­tin­ue to dis­sem­i­nate infor­ma­tion found in the Town’s Coy­ote Response Plan to help res­i­dents under­stand coy­ote behav­ior and enhance aware­ness of safe­ty techniques. Pro­vide res­i­dents with edu­ca­tion­al mate­ri­als that address the con­trol of vines and inva­sive plants. In 1998, the Town com­plet­ed an open space inven­to­ry and plan that iden­ti­fied and eval­u­at­ed the Town’s remain­ing open spaces and the poten­tial for link­ing exist­ing open space parcels locat­ed through­out the Town. The Town should update the open space inven­to­ry and devel­op an Open Space Man­age­ment Pol­i­cy (OSMP) to main­tain and seek to expand areas of open space qual­i­ty, Town parks and pre­serves, and biot­ic cor­ri­dors. The update should also exam­ine and map how the Town’s open spaces con­nect with open spaces in neigh­bor­ing towns that abut New Cas­tle. The OSMP should be updat­ed in close coor­di­na­tion with the devel­op­ment of an NRI/​Biodiversity Man­age­ment Plan and the update of the Town’s Recre­ation and Parks Mas­ter Plan and Trail Devel­op­ment Mas­ter Plan. Local­ly sig­nif­i­cant view sheds/​scenic vis­tas should be iden­ti­fied and mapped and includ­ed in the Plan, and if appro­pri­ate, reg­u­la­tions for the pro­tec­tion of view sheds/​scenic vis­tas should be codified. Update Town’s Open Space Man­age­ment Plan. The OSMP should include defined ​“open space” cri­te­ria and cat­a­log prop­er­ties based on diver­si­ty of habi­tat, con­nec­tiv­i­ty to oth­er prop­er­ties of open space val­ue, and poten­tial use for recre­ation­al pur­pos­es. Large lots should be exam­ined for their con­tri­bu­tion to open space value. Iden­ti­fy and map local­ly sig­nif­i­cant scenic vistas. Cod­i­fy pro­tec­tion of scenic vistas. The Town should require that all new devel­op­ments include green infra­struc­ture (GI) fea­tures, which not only help to reduce flood­ing and off­set stormwa­ter load­ing on exist­ing drainage infra­struc­ture, but also help to facil­i­tate a nat­ur­al fil­tra­tion process and improve water qual­i­ty. The Town should cre­ate incen­tives (e.g. addi­tion­al den­si­ty, reduced park­ing) for retro­fitting exist­ing devel­op­ments to include GI fea­tures. Where appro­pri­ate, devel­op­ment on Town-owned prop­er­ty should include them as well. The Town should also require appli­cants to assess how their project could impact stormwa­ter runoff flow into near­by water cours­es, pipe net­works and prop­er­ties. These hydro­log­ic and hydraulic analy­ses should include water qual­i­ty (i.e. chem­i­cal com­po­si­tion) and quan­ti­ty (i.e. peak flows and vol­ume) pro­vi­sions. In order to plan for a last­ing and sus­tain­able water sup­ply, the Town should con­sid­er con­duct­ing a Town-wide or tar­get­ed area aquifer study to assess the quan­ti­ty and qual­i­ty of ground­wa­ter and should look to expand the Town’s pub­lic water sup­ply sys­tem where practicable. Require green infra­struc­ture tech­niques (e.g. per­me­able sur­faces, veg­e­tat­ed infil­tra­tion basins) for new devel­op­ments through Town regulations. Cre­ate incen­tives for retro­fitting exist­ing devel­op­ments to include green infra­struc­ture fea­tures to reduce storm flow runoff and increase infil­tra­tion of rainfall. Include green infra­struc­ture fea­tures on Town-owned prop­er­ties where appropriate. Require appli­cants to incor­po­rate hydro­log­ic and hydraulic analy­ses of water cours­es and pipe net­works (i.e. test water qual­i­ty, chem­i­cal com­po­si­tion, vol­ume and peak flows) that could be impact­ed by their devel­op­ment in their site plan application. Con­sid­er con­duct­ing a Town-wide or tar­get­ed area aquifer study to assess quan­ti­ty and qual­i­ty of groundwater. The Town of New Castle’s favor­able geo­graph­ic loca­tion with­in the Hud­son Riv­er Val­ley makes it rich with water. How­ev­er, it is still impor­tant that the Town and its res­i­dents use water resources intel­li­gent­ly. Pro­ject­ed impacts of cli­mate change in New York State include an increase in fre­quen­cy of short-term droughts ​“with weeks of dry con­di­tions punc­tu­at­ed by rains too intense for parched soils to absorb.” Water con­ser­va­tion mea­sures such as adjust­ing the tim­ing of out­door sprin­kler sys­tems or instal­la­tion of low-flow show­er heads can help to con­serve water in dry sum­mer months, or when a ​“short-term drought” lasts longer than expect­ed. To encour­age water con­ser­va­tion, a Town-wide water con­ser­va­tion and reuse pro­gram should be estab­lished, and Town oper­a­tions should be exam­ined to assess where water can be reused. The Town should encour­age xeriscap­ing (land­scap­ing that requires lit­tle to no irri­ga­tion) and alter­na­tive gray­wa­ter and rain­wa­ter use/​reuse through research and education. Estab­lish a Town-wide water con­ser­va­tion and reuse program. Encour­age alter­na­tive gray­wa­ter and rain­wa­ter use/​reuse through research and edu­ca­tion. Pro­mote xeriscap­ing where appropriate. Exam­ine Town oper­a­tions to assess where water can be reused. Max­i­miz­ing the effi­cien­cy of infra­struc­ture can help to make infra­struc­ture more resilient. The Town should adopt codes or design stan­dards for new pub­lic infra­struc­ture that will increase ener­gy and water effi­cien­cy, if applic­a­ble. The Town should also devel­op tar­get­ed strate­gies and make spe­cif­ic upgrades to pub­lic infra­struc­ture sys­tems to improve resource effi­cien­cy. In many cas­es, this will mean enhanc­ing data col­lec­tion and mon­i­tor­ing of the infra­struc­ture through the use of smart tech­nol­o­gy (e.g. installing web-enabled sen­sors at crit­i­cal man­holes to con­tin­u­al­ly gage water flow, installing smart water meters). Last­ly, the Town should devel­op train­ing pro­grams for infra­struc­ture oper­a­tors on ener­gy and water effi­cien­cy tech­niques that can be incor­po­rat­ed into their dai­ly activ­i­ties and operations. Adopt codes or design stan­dards for new pub­lic infra­struc­ture that will increase ener­gy and water effi­cien­cy. Uti­lize a green or sus­tain­abil­i­ty rat­ing sys­tem for infra­struc­ture improve­ment projects. Devel­op tar­get­ed strate­gies to improve the resource effi­cien­cy of pub­lic infra­struc­ture sys­tems (e.g. data col­lec­tion, con­tin­u­al monitoring). Make spe­cif­ic upgrades to infra­struc­ture sys­tems that will increase ener­gy and water effi­cien­cy, such as sen­sors at crit­i­cal man­holes to con­tin­u­al­ly gage water flow, replacement/​upgrades to smart water meters. Devel­op train­ing pro­grams for infra­struc­ture oper­a­tors on ener­gy and water effi­cien­cy tech­niques that can be incor­po­rat­ed into their dai­ly activities. The way in which a build­ing is designed, con­struct­ed, oper­at­ed and main­tained deter­mines its impact on the nat­ur­al envi­ron­ment, as well as on the building’s occu­pants, for its entire life­cy­cle. Green build­ings are designed and oper­at­ed to be resource-effi­cient, to gen­er­ate less waste and pol­lu­tion, and to serve as healthy envi­ron­ments for occu­pants. Green build­ings can also pro­vide eco­nom­ic ben­e­fits (e.g. reduced ener­gy costs, high­er home val­ues) well into the future. Build­ings in New Cas­tle should be as high-per­form­ing and as sus­tain­able as pos­si­ble. The Town’s exist­ing green build­ing code, which can be found with­in Chap­ter 74 of the Town Code, should be exam­ined to ensure it reflects the best prac­tices in mate­ri­als, build­ing sys­tems, and oper­a­tions, to the extent prac­ti­ca­ble. The Town should con­sid­er adopt­ing a stretch code that requires more rig­or­ous ener­gy reg­u­la­tions for new­ly con­struct­ed and exist­ing build­ings that have been ren­o­vat­ed than the base ener­gy code. Edu­ca­tion­al mate­r­i­al regard­ing the ben­e­fits of green build­ing prac­tices should be devel­oped to pro­mote sus­tain­able construction. Review appli­ca­tion of green build­ing code and its applic­a­bil­i­ty to all types of devel­op­ment, includ­ing a broad­er range of munic­i­pal, com­mer­cial, and sin­gle and mul­ti-fam­i­ly res­i­den­tial buildings. Con­sid­er adopt­ing a stretch code that requires more rig­or­ous ener­gy reg­u­la­tions for new­ly con­struct­ed and exist­ing build­ings than the base ener­gy code. Uti­lize NYSERDA’s mod­el stretch code lan­guage, avail­able at the end of 2016. Explore ways to strength­en Town code and enforce­ment pro­vi­sions regard­ing con­struc­tion and demo­li­tion site man­age­ment and clean-up. Part­ner with local con­trac­tors to devel­op edu­ca­tion­al mate­ri­als to pro­mote green build­ing practices. A major­i­ty of res­i­den­tial prop­er­ties in the Town are not sew­ered and rely on sub­sur­face sewage dis­pos­al (sep­tic) sys­tems for waste­water dis­pos­al. It is crit­i­cal to ensure that sep­tic sys­tems are prop­er­ly main­tained so that they do not neg­a­tive­ly impact soils and water qual­i­ty (ground and sur­face water). The Westch­ester Coun­ty Depart­ment of Health per­mits and reg­u­lates sep­tic sys­tems. The Town of New Cas­tle should pro­mote prop­er use and main­te­nance of sep­tic sys­tems through its web­site, annu­al Town-wide mail­ing and oth­er means. The Town should work with Westch­ester Coun­ty and the North­ern Westch­ester Water­shed Com­mit­tee to estab­lish a pro­gram to repair or replace fail­ing and sub­stan­dard sep­tic systems. Include main­te­nance reminder and sep­tic sys­tem edu­ca­tion in annu­al Town mailing. Work with Westch­ester Coun­ty and the North­ern Westch­ester Water­shed Com­mit­tee to estab­lish a pro­gram (includ­ing finan­cial assis­tance) to repair or replace fail­ing and sub­stan­dard sep­tic systems. The Town of New Cas­tle con­sid­ers air, light, noise and odor impacts asso­ci­at­ed with new devel­op­ment. Exist­ing codes should be revised so that they are in keep­ing with best envi­ron­men­tal prac­tices. In addi­tion, the Town should devel­op inno­v­a­tive out­reach efforts to edu­cate the pub­lic on the exis­tence of pol­lu­tants in the envi­ron­ment, their source, and what role res­i­dents can play in decreas­ing pol­lu­tion. Top­ics should include green­house gas emis­sions; ener­gy effi­cien­cy and renew­able ener­gy; sep­tic sys­tem main­te­nance; prop­er use and dis­pos­al of pes­ti­cides, deter­gents and oth­er house­hold chem­i­cals; and resource conservation. Work with the Town’s rel­e­vant review boards and com­mit­tees to cre­ate inno­v­a­tive out­reach cam­paigns to edu­cate the pub­lic on envi­ron­men­tal pol­lu­tants and pro­mote behav­ioral change. Orga­nize school and com­mu­ni­ty ​“green teams” to pro­mote house­hold prac­tices that reduce GHG emis­sions, such as increased recycling. Review and revise New Cas­tle Town codes per­tain­ing to air, light, noise and odor to meet best prac­tice. In con­sid­er­a­tion of light pol­lu­tion reg­u­la­tions, view of the nightscape should be pre­served when safe­ty is not a con­cern. Spe­cif­ic atten­tion should be paid to dif­fer­ing land uses (i.e. res­i­den­tial, commercial). Cre­ate Air Action Plan to reduce air pol­lu­tion from var­i­ous sources (e.g. build­ing and vehi­cle emissions). Con­sid­er reg­u­lat­ing land­scap­ing and plant­i­ngs to min­i­mize obstruc­tion of sun­light on neigh­bor­ing properties. Adopt a waste man­age­ment plan that iden­ti­fies the community’s great­est sources of waste, sets for­mal waste reduc­tion tar­gets and estab­lish­es actions to help reach the community’s waste reduc­tion aims. This should include food waste from both res­i­den­tial and com­mer­cial uses. Cre­ate or revise exist­ing recy­cling pro­gram to include recy­cling tar­gets and assess­ment of the fea­si­bil­i­ty of cre­at­ing a com­post col­lec­tion ser­vice and ensur­ing recy­cling is pro­vid­ed at all events held by the Town, etc. Pro­mote the concept/​educate the pub­lic about the envi­ron­men­tal ben­e­fits of res­i­den­tial waste reduc­tion and recy­cling. Inform res­i­dents and busi­ness­es in their roles in achiev­ing waste reduc­tion targets. Devel­op a sus­tain­able and envi­ron­men­tal­ly prefer­able munic­i­pal pur­chas­ing pol­i­cy (e.g. paper prod­ucts, office sup­plies, kitchen sup­plies) and imple­ment. Work with the Chap­paqua Cen­tral School Dis­trict to do the same. Local munic­i­pal­i­ties are sus­cep­ti­ble to cli­mate change, but also have a unique oppor­tu­ni­ty to both mit­i­gate and adapt to its effects. Mit­i­ga­tion mea­sures are those that decrease a community’s green­house gas emis­sions and car­bon foot­print. These mea­sures, which span from smart land use to ener­gy effi­cien­cy tech­niques to renew­able ener­gy instal­la­tions, will decrease long term spend­ing, enhance the resilien­cy of all infra­struc­ture and have a net pos­i­tive impact on the envi­ron­ment. The Town should update its Cli­mate Action Plan, set new green­house gas (GHG) emis­sion reduc­tion goals, and con­sid­er invest­ments in renew­able ener­gy instal­la­tions, ener­gy effi­cien­cy retro­fits, and oth­er alter­ations in Town oper­a­tions to reduce GHG pol­lu­tion. The Town should con­sid­er pur­su­ing cer­ti­fi­ca­tion as a Cli­mate Smart Com­mu­ni­ty through the DEC to become eli­gi­ble for fund­ing to aid in these endeavors. Estab­lish a new gov­ern­ment oper­a­tions emis­sions reduc­tion tar­get and imple­men­ta­tion plan. Include tar­gets for per­cent of gov­ern­ment ener­gy sourced from renew­able ener­gy (pro­duced on-site or pur­chased from a util­i­ty) and tar­gets for increased ener­gy efficiency. Per­form fea­si­bil­i­ty analy­ses to iden­ti­fy poten­tial sites for renew­able ener­gy instal­la­tions on gov­ern­ment-owned prop­er­ties and explore part­ner­ships with schools, insti­tu­tions, and home­own­ers asso­ci­a­tions to con­sid­er renew­able ener­gy instal­la­tions on their properties. Cre­ate an inven­to­ry of all fund­ing oppor­tu­ni­ties for ener­gy effi­cien­cy and renew­able ener­gy projects in the State. Pur­sue those that are appropriate. Inte­grate ener­gy effi­cien­cy projects and renew­able ener­gy instal­la­tions into the Town’s Cap­i­tal Improve­ment Plan. Work with the Eco­nom­ic Incen­tive Cor­po­ra­tion (EIC) to cre­ate a pub­lic and busi­ness edu­ca­tion cam­paign for Ener­gize NY Ben­e­fit Financ­ing Program. Per­form fea­si­bil­i­ty analy­ses for micro­grids, espe­cial­ly at sites of crit­i­cal infra­struc­ture (e.g. super­mar­kets, schools, oth­er crit­i­cal uses). Per­form fea­si­bil­i­ty analy­ses for com­bined heat and pow­er and geot­her­mal instal­la­tions in neigh­bor­hoods and subdivisions. Adopt a Town green fleet pol­i­cy that incor­po­rates ener­gy effi­cien­cy cri­te­ria for acquir­ing munic­i­pal vehicles. Com­plete retro­fit of incan­des­cent street­lights to LEDs. If nec­es­sary, cre­ate LED light­ing best prac­tices pol­i­cy and update Town code accordingly. Ensure that the com­mu­ni­ty is pre­pared to deal with both pos­i­tive and neg­a­tive changes in its eco­nom­ic health and to ini­ti­ate sus­tain­able urban devel­op­ment and rede­vel­op­ment strate­gies that fos­ter green busi­ness growth and build reliance on local assets. A ​“sus­tain­able mix of com­mer­cial and res­i­den­tial uses” refers to the bal­ance of both of these uses in the ham­lets so that one sup­ports the oth­er. Increased oppor­tu­ni­ties for hous­ing in the ham­lets would not only pro­vide busi­ness­es with a built-in cus­tomer base, it would also pro­vide res­i­dents with imme­di­ate access to the hamlet’s ameni­ties, ser­vices and trans­porta­tion oppor­tu­ni­ties. Com­mer­cial, retail and busi­ness estab­lish­ments should enable Town res­i­dents to ful­fill their dai­ly needs, and should include the pro­vi­sion of leisure and enter­tain­ment oppor­tu­ni­ties. An analy­sis of devel­op­ment and infill oppor­tu­ni­ties with­in each of the exist­ing ham­lets should be per­formed with con­sid­er­a­tion of envi­ron­men­tal and infra­struc­tur­al con­di­tions and con­straints, com­mu­ni­ty needs and the pub­lic vision as estab­lished in this Com­pre­hen­sive Plan. Exist­ing zon­ing should be exam­ined and revised to bet­ter facil­i­tate the revi­tal­iza­tion of the ham­lets. As part of the revi­tal­iza­tion, addi­tion­al park­ing should be pro­vid­ed in the Chap­paqua ham­let in prox­im­i­ty to busi­ness­es and amenities. Review and revise exist­ing zon­ing reg­u­la­tions and require­ments or devel­op alter­na­tive zon­ing (i.e. form based zon­ing) to bet­ter allow and encour­age mixed-used devel­op­ment in the ham­lets. This could include revis­ing reg­u­la­tions regard­ing dri­ve­way width, build­ing height, front yard set­backs, and park­ing require­ments and asso­ci­at­ed ease­ments, among oth­er reg­u­la­tions. Zon­ing around the Chap­paqua train sta­tion should encour­age a high­er lev­el of tran­sit-ori­ent­ed development. Revise zon­ing and design stan­dards to include appro­pri­ate smart growth prin­ci­ples (e.g. LEED-ND) to encour­age sus­tain­able devel­op­ment in ham­let areas. Explore oppor­tu­ni­ties to diver­si­fy retail mix in ham­lets and pro­vide a wide range of goods and ser­vices. This may include the re-exam­i­na­tion of Town code and pre­vi­ous res­o­lu­tions regard­ing restric­tions on cer­tain com­mon busi­ness types or the rep­e­ti­tion of busi­ness types. Exam­ine exist­ing indus­tri­al zoned prop­er­ty to deter­mine the best use of prop­er­ty con­sis­tent with the sur­round­ing area in the case that prop­er­ties become avail­able for future development. Con­sid­er the cre­ation of an Eco­nom­ic Devel­op­ment Unit to facil­i­tate imple­men­ta­tion of the pre­ferred infill devel­op­ment sce­nario, assist prop­er­ty own­ers, and sup­port local busi­ness community. Exam­ine the impacts of and devel­op imple­men­ta­tion strate­gies regard­ing the effects of e-com­merce on ham­let busi­ness­es and the need to repo­si­tion the ham­lets as destinations. Ham­let streetscapes should be designed for use by and catered towards pedes­tri­ans to encour­age gath­er­ing, inter­act­ing and shop patron­age. The ham­lets should be made as walk­a­ble as pos­si­ble and streetscapes should favor walk­ing over dri­ving. To do this, smart growth prin­ci­ples should be includ­ed in the devel­op­ment of ham­let design guide­lines. The Town should com­plete cap­i­tal improve­ment projects or devel­op design stan­dards that would enhance the pedes­tri­an expe­ri­ence and walk­ing oppor­tu­ni­ties between the major pub­lic trans­porta­tion ameni­ties (i.e. Metro North, the North Coun­ty Trail­way) and the com­mer­cial cen­ters of each ham­let. These ​“pedes­tri­an prom­e­nades” should fea­ture green­ery and wel­com­ing open space. The Town should also explore oppor­tu­ni­ties to beau­ti­fy and enhance the com­fort of bus stops. The Town should also exam­ine oppor­tu­ni­ties to revi­tal­ize or rezone mid-King Street and Sta­tion Place so as to bet­ter con­nect the com­mer­cial nodes in the Chap­paqua and Mill­wood ham­lets and the mixed-use com­mer­cial and res­i­den­tial uses at Chap­paqua Crossing. Include smart growth prin­ci­ples in the devel­op­ment of ham­let design guide­lines to cre­ate an active pedes­tri­an environment. Devel­op design stan­dards or com­plete cap­i­tal improve­ments to bet­ter facil­i­tate pedes­tri­an con­nec­tions to and from the com­mer­cial areas and the major trans­porta­tion ameni­ties in each ham­let (i.e. the North Coun­ty Trail­way in Mill­wood and the train sta­tion in Chappaqua). Explore oppor­tu­ni­ties to devel­op bicy­cle park­ing areas and beau­ti­fy and enhance the com­fort of bus stops. Exam­ine and assess oppor­tu­ni­ties to revi­tal­ize or re-zone mid-King Street and Sta­tion Place to bet­ter con­nect the ham­lets’ com­mer­cial nodes. Design guide­lines should be devel­oped for the Chap­paqua ham­let, and the design guide­lines estab­lished for the Mill­wood ham­let in 1993 (and revised in 1999) should be updat­ed, if nec­es­sary. Guide­lines should uti­lize LEED-ND stan­dards or oth­er sus­tain­able design prac­tices for sig­nage, street frontage, win­dows, awnings, build­ing col­or and mate­ri­als, and street archi­tec­ture. In addi­tion, the fea­si­bil­i­ty of cre­at­ing a main­te­nance dis­trict in the ham­lets for both aes­thet­ic and infra­struc­tur­al upkeep should be assessed. Devel­op new or revise exist­ing ham­let design guide­lines which pro­mote aes­thet­ic con­ti­nu­ity with­in ham­let areas. Guide­lines should, where appro­pri­ate, uti­lize LEED-ND stan­dards or oth­er sus­tain­able design prac­tices for sig­nage, street frontage, win­dows, awnings, build­ing col­or and mate­ri­als and street architecture. The Town should devel­op a coor­di­nat­ed mar­ket­ing cam­paign to pro­mote the ham­lets to poten­tial ten­ants and ven­dors. The Town should engage con­sul­tants to assess the poten­tial impacts of e-com­merce to our ham­let busi­ness­es, pro­vide a strat­e­gy to repo­si­tion our ham­lets as des­ti­na­tions in this new com­pet­i­tive envi­ron­ment, and set a strat­e­gy for imple­men­ta­tion. Exist­ing prop­er­ty own­ers should be pro­vid­ed with infor­ma­tion­al mate­ri­als and guid­ance when look­ing to attract new ten­ants or retro­fit their build­ings. Incen­tives should be cre­at­ed to both attract new, local busi­ness­es and retain those that exist. New busi­ness­es should be pro­vid­ed with a Town ​“Wel­come Pack­age” that includes a warm wel­come mes­sage and impor­tant con­tact infor­ma­tion (e.g. Devel­op­ment Depart­ment, Cham­ber of Com­merce, neigh­bor­ing busi­ness­es). As renew­able ener­gy, ener­gy effi­cien­cy and green infra­struc­ture indus­tries and busi­ness­es grow in the region, the Town should con­sid­er attract­ing these and oth­er busi­ness­es to the hamlets. Offer land use guid­ance to prop­er­ty own­ers seek­ing to expand or change busi­ness­es through meet­ings and edu­ca­tion­al materials. Cre­ate incen­tives to retain exist­ing and attract new, local busi­ness­es that meet the needs of the community. Proac­tive­ly pur­sue the loca­tion of green busi­ness (i.e. ener­gy effi­cien­cy firms, solar pan­el providers) in the hamlets. Work with the Cham­ber of Com­merce to pro­vide new busi­ness­es with a ​“Wel­come Pack­age” that includes a warm wel­come mes­sage and impor­tant con­tact information. Orga­nize a coor­di­nat­ed mar­ket­ing cam­paign to pro­mote ham­lets to poten­tial tenants. Pro­mote invest­ment in green infra­struc­ture and renew­able ener­gy install­ments by retail build­ing own­ers in the ham­lets. Facil­i­tate the use of PACE financ­ing through Chap­ter 63: Ener­gy NY Financ­ing of the Town Code. The Town should form a task force that works with exist­ing com­mu­ni­ty groups (e.g. Art Under the Bridge) to devel­op events that show­case the Town’s unique char­ac­ter and stim­u­late patron­age of local busi­ness­es. Par­tic­u­lar atten­tion should be giv­en to sched­ul­ing recre­ation­al pro­gram­ming in and near the ham­lets on nights and week­ends. The Town should work with local busi­ness­es and the Cham­ber of Com­merce to pro­mote busi­ness hours which com­ple­ment recre­ation­al activ­i­ties and Town-spon­sored events. Sup­port Recre­ation and Parks Commission’s efforts to sched­ule recre­ation­al pro­gram­ming near the ham­lets on nights and week­ends to stim­u­late patron­age of local businesses. Work with local busi­ness­es and the Cham­ber to pro­mote busi­ness hours which com­ple­ment recre­ation­al activ­i­ties and Town-spon­sored events. To ensure that the Chap­paqua and Mill­wood Ham­lets thrive indi­vid­u­al­ly while com­ple­ment­ing one anoth­er, the Town should inves­ti­gate oppor­tu­ni­ties to devel­op pub­lic tran­sit con­nec­tions between the two ham­lets. The Town should also encour­age busi­ness­es to offer con­sumer ben­e­fits by part­ner­ing with busi­ness­es from oth­er hamlets. Inves­ti­gate oppor­tu­ni­ties to devel­op pub­lic tran­sit con­nec­tions among the two hamlets. Encour­age busi­ness­es to offer con­sumer ben­e­fits by part­ner­ing with busi­ness­es from each of the two hamlets. Ensure that pub­lic health needs are rec­og­nized and addressed through pro­vi­sions for healthy foods, phys­i­cal activ­i­ty, access to recre­ation, health care, envi­ron­men­tal jus­tice, and safe neighborhoods. Feed­back from res­i­dents and the Recre­ation and Parks Com­mis­sion dur­ing the Com­pre­hen­sive Plan out­reach process sug­gest that there is a need to increase the avail­abil­i­ty of recre­ation­al pro­gram­ming and facil­i­ties in the Town. A for­mal park­land and facil­i­ties demand analy­sis and a com­mu­ni­ty sur­vey should be con­duct­ed to gauge the recre­ation­al needs of res­i­dents of all ages, socioe­co­nom­ic sta­tus­es and abil­i­ties. The 2007 Recre­ation and Parks Mas­ter Plan should then be updat­ed to include the iden­ti­fi­ca­tion of large recre­ation­al projects and new recre­ation­al programming. Con­duct a park­land and facil­i­ties demand analy­sis. Suvery the com­mu­ni­ty to assess the recre­ation­al needs and inter­ests of res­i­dents of all ages, socioe­co­nom­ic sta­tus, abil­i­ty, etc. Sur­vey and analy­sis should address year-round pro­gram­ming and facil­i­ty needs/​interests. Update the 2007 Recre­ation and Parks Mas­ter Plan. Include the iden­ti­fi­ca­tion and pri­or­i­ti­za­tion of large recre­ation­al projects and incor­po­rate into the Cap­i­tal Improve­ment Plan, as well as the cre­ation of new recre­ation­al pro­gram­ming that address­es the needs of residents. Explore oppor­tu­ni­ties to share recre­ation­al ser­vices and facil­i­ties with neigh­bor­ing Towns and the region (e.g. ath­let­ic bubble). In coor­di­na­tion with a Town-wide Bio­di­ver­si­ty Plan and the update of the 2007 Recre­ation and Parks Mas­ter Plan, the Town’s Open Space Man­age­ment Plan (OSMP) should be revised with the inten­tion to expand, enhance and main­tain the Town’s park­land and recre­ation­al space. The Town should explore the devel­op­ment of pock­et parks in res­i­den­tial and com­mer­cial devel­op­ments to make open space even more read­i­ly avail­able to residents. Review and revise the Town’s Open Space Man­age­ment Plan to expand, enhance and main­tain park and recre­ation­al space. Coor­di­nate with the cre­ation of the Bio­di­ver­si­ty Man­age­ment Plan and the update of the 2007 Parks and Rec Mas­ter Plan. Include iden­ti­fi­ca­tion of parcels that would func­tion well as park­land for both pas­sive and active recre­ation­al use. Explore the devel­op­ment of pock­et parks in res­i­den­tial neigh­bor­hoods and where nec­es­sary in the hamlets. The Town should exam­ine enroll­ment demo­graph­ics of recre­ation­al pro­gram­ming par­tic­i­pants and iden­ti­fy areas of improve­ment to ensure access to pro­gram­ming is attain­able by all res­i­dents, no mat­ter age, phys­i­cal abil­i­ty, or income lev­el. All Town-owned recre­ation­al facil­i­ties should be eval­u­at­ed to ensure they are hand­i­cap acces­si­ble and ADA com­pli­ant. Final­ly, the Town should con­tin­ue its open dia­logue with the Chap­paqua Cen­tral School Dis­trict regard­ing ameni­ty usage and scheduling. Col­lab­o­rate with Recre­ation and Parks Depart­ment to exam­ine enroll­ment demo­graph­ics and iden­ti­fy areas of improve­ments to ensure equi­table access and pro­gram­ming for all res­i­dents, includ­ing those with spe­cial needs. Under­take a facil­i­ties eval­u­a­tion for all Town owned recre­ation­al facil­i­ties to ensure ADA com­pli­ance and acces­si­bil­i­ty for phys­i­cal­ly dis­abled participants. Con­tin­ue open dia­logue about ameni­ty usage and sched­ul­ing with the Chap­paqua Cen­tral School District. The improve­ment of off road link­ages between open space and promi­nent des­ti­na­tions in the Town will encour­age alter­na­tive trans­porta­tion meth­ods, phys­i­cal activ­i­ty, and res­i­dent inter­ac­tion with nature. The Town’s Trail Devel­op­ment Mas­ter Plan should be updat­ed to iden­ti­fy loca­tions for poten­tial bike paths and walk­ways between nature areas and park­land and the Town’s schools and ham­lets. The Town should inves­ti­gate and imple­ment infra­struc­ture improve­ments and pub­lic out­reach efforts that will encour­age the use of the North Coun­ty Trail­way in the Mill­wood ham­let. Final­ly, sig­nage, guid­ance and main­te­nance of exist­ing hik­ing trails should be improved. Update the Town’s Trail Devel­op­ment Mas­ter Plan. The plan should iden­ti­fy loca­tions for new bike paths and walk­ways, as well as oppor­tu­ni­ties for bicy­cle park­ing, between nature areas and park­land and the Town’s schools and ham­lets. Con­tin­ue to con­sid­er the devel­op­ment of a trail from Chap­paqua Cross­ing and Gree­ley High School to the Chap­paqua hamlet. Improve sig­nage, guid­ance and main­te­nance of hik­ing trails. The Town should con­tin­ue to sup­port year-round farmer’s mar­kets. This should include ensur­ing that a farmer’s mar­ket takes place in the Town every year dur­ing the cold weath­er sea­son. When nec­es­sary, the Town should sup­port the oper­a­tion of exist­ing and new com­mu­ni­ty gar­dens. The Town should con­sid­er part­ner­ing with busi­ness­es in the ham­lets to estab­lish green roof com­mu­ni­ty gardens. Con­tin­ue to sup­port year-round local farmer’s markets. Part­ner with res­i­dents, ERB, Parks, local nurs­eries, and Green Thumbs to sup­port exist­ing com­mu­ni­ty gar­dens in the Town when nec­es­sary (e.g. ded­i­ca­tion of pub­lic space, zon­ing to allow for CSAs, deter­mine enti­ties in charge of main­tain­ing, oper­at­ing, and pro­gram­ming these spaces). Con­sid­er the fea­si­bil­i­ty of cre­at­ing a green roof com­mu­ni­ty gar­den with­in a ham­let or on an insti­tu­tion­al property. The Town should keep an inven­to­ry of all social, cul­tur­al, and insti­tu­tion­al ser­vices in the Town, as well as near­by food pantries and local health­care providers. A social ser­vices bul­letin should be cre­at­ed on the Town’s web­site. The Town should gar­ner feed­back from res­i­dents regard­ing their access to social ser­vices and assess how access to and pro­vi­sion of these ser­vices could be improved. Inven­to­ry all social, cul­tur­al, insti­tu­tion­al etc. ser­vices in Town. Poll res­i­dents regard­ing their access to social ser­vices and the obsta­cles faced in access­ing social ser­vices. Assess how access to and the pro­vi­sion of social ser­vices could be improved. Cre­ate social ser­vices bul­letin on website. Through­out the Com­pre­hen­sive Plan out­reach process, res­i­dents expressed a gen­er­al dis­sat­is­fac­tion with the Town’s com­mu­ni­ca­tions and were espe­cial­ly crit­i­cal of the Town’s web­site. To improve the Town’s com­mu­ni­ca­tion with res­i­dents and to elim­i­nate bar­ri­ers to all social ser­vices, the Town should eval­u­ate the clar­i­ty and effec­tive­ness of the for­mat of its web­site, mail com­mu­ni­ca­tions and post­ings and make nec­es­sary improvements. Eval­u­ate the clar­i­ty and effec­tive­ness of the for­mat of the Town’s web­site. Make improve­ments where necessary. Cre­ate and dis­sem­i­nate instruc­tion guides on how to access infor­ma­tion on the Town’s web­site for all dif­fer­ent types of devices. Devel­op uni­form process­es and meth­ods to post mate­ri­als on the web­site for ease of res­i­dent access. Road improve­ments should be made at inter­sec­tions and cross­ings that have shown high fre­quen­cy of inci­dents. Improve­ments should con­sid­er not only vehic­u­lar safe­ty, but pedes­tri­an and cyclist safe­ty as well. Com­plete Street ele­ments should always be con­sid­ered when mak­ing road­way safe­ty improve­ments. To ensure the safe­ty of vehi­cles at the high­ly traf­ficked Saw Mill Riv­er Park­way entrance at Roar­ing Brook Road, the Town should pur­sue the devel­op­ment of a bridge over the MTA Rail­road Cross­ing and the Parkway. Coor­di­nate with Com­mis­sion­er of Pub­lic Works on the cre­ation of a Road Safe­ty Plan and map. Inves­ti­gate and iden­ti­fy road safe­ty issues in Town. Con­sid­er uti­liz­ing Westch­ester Coun­ty Base Stud­ies traf­fic data and NYS­DOT and NYMTC resources. Iden­ti­fy inter­sec­tions and cross­ings that have shown high fre­quen­cy of inci­dents and address pedes­tri­an and cyclist safe­ty at these locations. Design ele­ments that reduce injuries and improve pub­lic safe­ty should be includ­ed in street, build­ing, and land­scape cap­i­tal improve­ments. Pub­lic employ­ees and first respon­ders should be ade­quate­ly trained for han­dling and respond­ing to inci­dences of vio­lence such as bomb threats and shoot­ings. Edu­ca­tion mate­ri­als illus­trat­ing ​“best prac­tice” in pub­lic safe­ty behav­ior should be devel­oped and dis­sem­i­nat­ed via mul­ti­ple media out­lets. Final­ly, the Town web­site should be reviewed to ensure emer­gency infor­ma­tion is eas­i­ly and intu­itive­ly accessible. Pre­pare pub­lic employ­ees and first respon­ders for vio­lent inci­dences (e.g. shoot­ings, bomb threats). Improve clar­i­ty and access to infor­ma­tion (includ­ing emer­gency infor­ma­tion) on Town’s website. Estab­lish pub­lic safe­ty best prac­tice fact sheets to be dis­sem­i­nat­ed via vary­ing media outlets. The Town should plan for more fre­quent and intense weath­er events by imple­ment­ing appro­pri­ate dis­as­ter mit­i­ga­tion and adap­ta­tion mea­sures. The Town should devel­op a Post Dis­as­ter Recov­ery Plan, which should include eco­nom­ic recov­ery strate­gies. Mit­i­ga­tion, resilien­cy and pre­pared­ness mea­sures should be includ­ed in all local plans and design projects. The Town’s Haz­ard Mit­i­ga­tion Plan should con­tin­ue to be updat­ed as required and coor­di­nat­ed with ongo­ing cap­i­tal and infra­struc­ture improve­ments. The Town should invest in ener­gy reli­a­bil­i­ty and secu­ri­ty and explore the fea­si­bil­i­ty of com­mu­ni­ty and neigh­bor­hood micro­grids and com­bined heat and pow­er (CHP) sys­tems. Final­ly, the Town should con­tin­ue to pro­mote safe­ty aware­ness in all emer­gen­cies, includ­ing evac­u­a­tion infor­ma­tion in the event of an emer­gency at Indi­an Point. Con­tin­ue to update the Town’s Haz­ard Mit­i­ga­tion Plan as required and coor­di­nate with the Cap­i­tal Improve­ment Plan and oth­er ongo­ing infra­struc­ture planning. Map iden­ti­fied mit­i­ga­tion ini­tia­tives from the Haz­ard Mit­i­ga­tion Plan and pro­vide map­ping to depart­ment staff review­ing cap­i­tal improve­ment and pri­vate devel­op­ment projects to stream­line imple­men­ta­tion of mit­i­ga­tion initiatives. Estab­lish a policy/​legislation that requires the incor­po­ra­tion of mit­i­ga­tion, resilien­cy and pre­pared­ness mea­sures into local plans, design of projects and cap­i­tal improve­ments (e.g. gen­er­a­tors, micro­grids, green infra­struc­ture, green roofs, posi­tion of buildings). Devel­op a Post Dis­as­ter Recov­ery Plan which includes strate­gies for eco­nom­ic recovery. Pro­mote aware­ness of evac­u­a­tion and recov­ery pro­ce­dures in the event of an emer­gency at Indi­an Point through edu­ca­tion­al mail­ings and Town website. Much of New Cas­tle was built on swamp land before mod­ern day envi­ron­men­tal reg­u­la­tions and wet­land buffer require­ments were estab­lished. As a result, there are many areas in New Cas­tle that are prone to flood­ing despite best efforts in flood pre­ven­tion or mit­i­ga­tion. It is para­mount that the Town con­tin­ue to be vig­i­lant in imple­ment­ing flood pre­ven­tion mea­sures and inves­ti­gate inven­tive solu­tions to flood­ing. The Town’s Haz­ard Mit­i­ga­tion Plan should con­tin­ue to be used to iden­ti­fy drainage improve­ments and flood pre­ven­tion projects. The Town’s flood­plain man­age­ment ordi­nance should be strength­ened to reduce vul­ner­a­bil­i­ty to flood­ing and ero­sion. Final­ly, the Town’s flood pre­ven­tion strate­gies should be aligned with those found in the Nation­al Flood Insur­ance Pro­gram Com­mu­ni­ty Rat­ing sys­tem. For­mal par­tic­i­pa­tion in the Rat­ing Sys­tem should be con­sid­ered to ensure New Cas­tle is receiv­ing all appro­pri­ate assis­tance for flood event pre­ven­tion and recovery. Con­tin­ue to uti­lize the Town’s Haz­ard Mit­i­ga­tion Plan to iden­ti­fy drainage improve­ments and flood­ing pre­ven­tion projects. Strength­en flood­plain man­age­ment ordi­nance to reduce vul­ner­a­bil­i­ty to flood­ing and erosion. Align flood pre­ven­tion strate­gies with those found in the Nation­al Flood Insur­ance Pro­gram Com­mu­ni­ty Rat­ing Sys­tem. Con­sid­er par­tic­i­pa­tion in the Rat­ing System. The Town should coor­di­nate with Con Edi­son and oth­er util­i­ty providers to under­take aes­thet­ic and safe­ty improve­ments of exist­ing above-ground ser­vices. Where appro­pri­ate, bur­ial of above-ground util­i­ty lines should be con­tin­ued and promoted. Pro­mote the bur­ial of above-ground util­i­ty lines where appropriate. Coor­di­nate with Con Edi­son to under­take aes­thet­ic and safe­ty improve­ments of exist­ing above-ground services. As vari­ety in the Town’s hous­ing stock increas­es and the baby boomer pop­u­la­tion ages, the Town could see an increase in ​“vul­ner­a­ble” pop­u­la­tions, or pop­u­la­tions that do not have ade­quate phys­i­cal or mon­e­tary resources to pre­pare or adapt suf­fi­cient­ly to envi­ron­men­tal haz­ards or dis­as­ters. The Town should iden­ti­fy these vul­ner­a­ble pop­u­la­tions and their need for assis­tance dur­ing and after nat­ur­al dis­as­ters, or as the result of changes in the envi­ron­ment. The Town should devel­op an inven­to­ry of avail­able Fed­er­al, State, and local assis­tance pro­grams for dis­as­ter recov­ery for use by all residents. Iden­ti­fy vul­ner­a­ble pop­u­la­tions and deter­mine poten­tial needs dur­ing and after nat­ur­al dis­as­ters or as the result of changes in the envi­ron­ment or adjoin­ing landscapes. Inven­to­ry avail­able Fed­er­al, State and local assis­tance for dis­as­ter recov­ery and make infor­ma­tion acces­si­ble to residents. Inves­ti­gate oppor­tu­ni­ty to address off site impacts of new projects, specif­i­cal­ly to con­sid­er adjoin­ing prop­er­ties and the need to pro­tect vul­ner­a­ble pop­u­la­tions from unin­tend­ed con­se­quences of development. Ensure that all local pro­pos­als account for, con­nect with, and sup­port the plans of adja­cent juris­dic­tions and the sur­round­ing region. With the adop­tion of this Plan, New Cas­tle is align­ing its plan­ning poli­cies with those of the region­al plans dis­cussed above, includ­ing Westch­ester 2025, the MHREDC Strate­gic Plan, and the MHREDC Sus­tain­abil­i­ty Plan. This Plan has posi­tioned the Town to under­take zon­ing changes that encour­age devel­op­ment which is con­sis­tent with region­al sus­tain­abil­i­ty objec­tives such as increas­ing hous­ing afford­abil­i­ty, enabling tran­sit-ori­ent­ed devel­op­ment, and pre­serv­ing open space and biodiversity. Adopt the 2016 New Cas­tle Com­pre­hen­sive Plan which is aligned with the goals and poli­cies of Westch­ester 2025 and the MHREDC’s Strate­gic and Sus­tain­abil­i­ty Plans. Ensure that local hous­ing sup­ply appro­pri­ate­ly address­es region­al hous­ing demand through the update of the Town’s hous­ing poli­cies and zon­ing designations. Iden­ti­fy biot­ic and open space cor­ri­dors that go past the Town’s bor­ders. Coor­di­nate with appro­pri­ate sur­round­ing munic­i­pal­i­ties to pre­serve these corridors. When nec­es­sary, fos­ter com­mu­ni­ca­tion between neigh­bor­ing munic­i­pal­i­ties regard­ing plan review that sup­ple­ment the Westch­ester Coun­ty refer­ral process. The Town should strength­en its rela­tion­ships with sur­round­ing munic­i­pal­i­ties to ful­fill its respon­si­bil­i­ty as a con­sid­er­ate neigh­bor, as well as to accom­plish plan­ning goals that have impacts across polit­i­cal bound­aries. In iden­ti­fy­ing biot­ic and open space cor­ri­dors that reach beyond New Castle’s phys­i­cal bor­ders, the Town should coor­di­nate with sur­round­ing munic­i­pal­i­ties to pre­serve these cor­ri­dors. 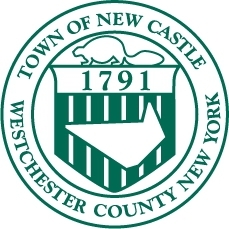 When nec­es­sary, the Town should fos­ter com­mu­ni­ca­tion between neigh­bor­ing munic­i­pal­i­ties regard­ing rel­e­vant plan review that sup­ple­ments the Westch­ester Coun­ty refer­ral process. The Town should also con­tin­ue to par­tic­i­pate active­ly in cross-juris­dic­tion­al water­shed plan­ning and pro­tec­tion. The Town should pro­mote and help coor­di­nate inter-munic­i­pal scenic road preser­va­tion, includ­ing work­ing with state, coun­ty and local offi­cials to mit­i­gate impacts on our scenic roads from util­i­ty companies. The Town should work with its neigh­bors to help accom­plish region­al infra­struc­ture improve­ment objec­tives such as inte­grat­ing Com­plete Street fea­tures on road­ways, imple­ment­ing sus­tain­able waste man­age­ment prac­tices, main­te­nance of util­i­ties and their aes­thet­ic impact, and recy­cling waste­water. The Town should pur­sue cre­ative ways to com­mu­ni­cate and build rela­tion­ships with State and Coun­ty agen­cies to accom­plish this goal. Pur­sue inno­v­a­tive ways to com­mu­ni­cate, nego­ti­ate and build rela­tion­ships with the New York State Depart­ment of Transportation. Explore connections/​creation of local bike routes to con­nect with the North Coun­ty Trailway. Part­ner with non-prof­it and pri­vate orga­ni­za­tions on the imple­men­ta­tion of sus­tain­able waste man­age­ment programs. Coor­di­nate with Westch­ester Coun­ty Health Depart­ment to inves­ti­gate oppor­tu­ni­ties for the ben­e­fi­cial reuse of stormwa­ter and wastewater. Past ini­tia­tives such as Solar­ize Somers-New Cas­tle and Com­mu­ni­ty Choice aggre­ga­tion have demon­strat­ed that aggre­gat­ing the Town’s pur­chas­ing pow­er with that of sur­round­ing munic­i­pal­i­ties can result in low­er prices for qual­i­ty goods and ser­vices that ben­e­fit the res­i­dents of New Cas­tle. The Town should iden­ti­fy oth­er oppor­tu­ni­ties for cost-shar­ing with oth­er munic­i­pal­i­ties and pur­sue fund­ing oppor­tu­ni­ties to sup­port these efforts. In par­tic­u­lar, the town should pur­sue oppor­tu­ni­ties to cost-share in order to enhance sus­tain­abil­i­ty efforts Town-wide. The Town should work with state, coun­ty and local offi­cials to enhance coop­er­a­tive emer­gency services. Iden­ti­fy poten­tial ser­vices appro­pri­ate for cost shar­ing approach. Exam­ine fund­ing oppor­tu­ni­ties to sup­port cost shar­ing efforts. Con­tin­ue to pur­sue arrange­ments sim­i­lar to Com­mu­ni­ty Choice Aggre­ga­tion (CCA) and Solar­ize Somers-New Cas­tle to enhance sus­tain­abil­i­ty in the Town at low­er costs. Work with neigh­bor­ing munic­i­pal­i­ties to deter­mine their inter­est in cre­at­ing a uni­form sig­nage pro­gram along cross-juris­dic­tion­al trans­porta­tion routes. Coor­di­nate with oth­er munic­i­pal­i­ties to aggre­gate nego­ti­at­ing pow­er with the State for rel­e­vant issues (e.g. aes­thet­ic improve­ments of trans­porta­tion sig­nage, infra­struc­ture needs, road­way improvements).